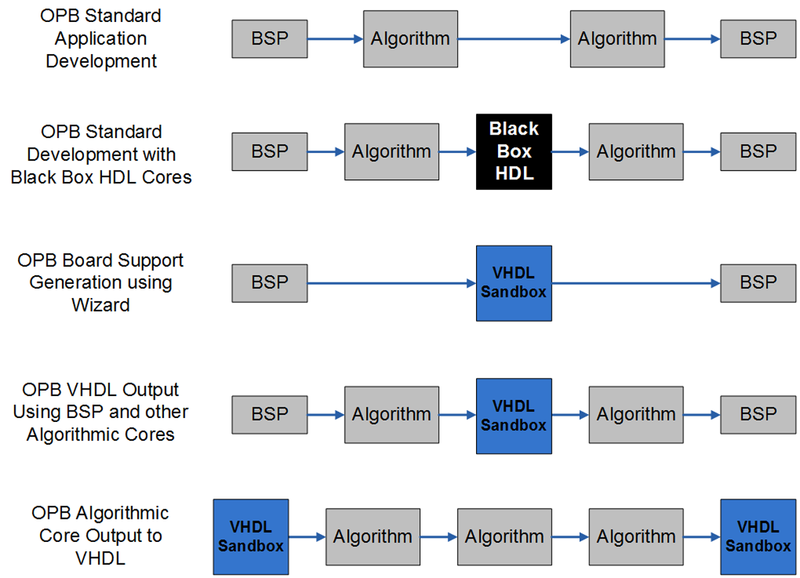 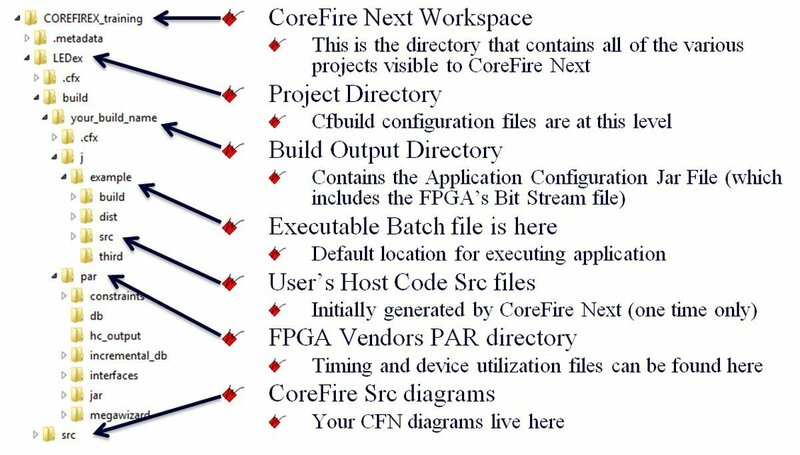 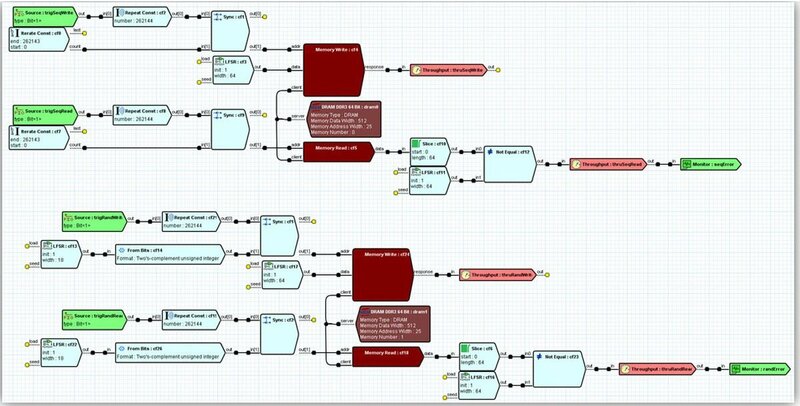 Open Project Builder™ users have the capability to use FPGA IP from multiple sources, such as CoreFire Next, High-Level Synthesis (HLS), other HDL, etc. 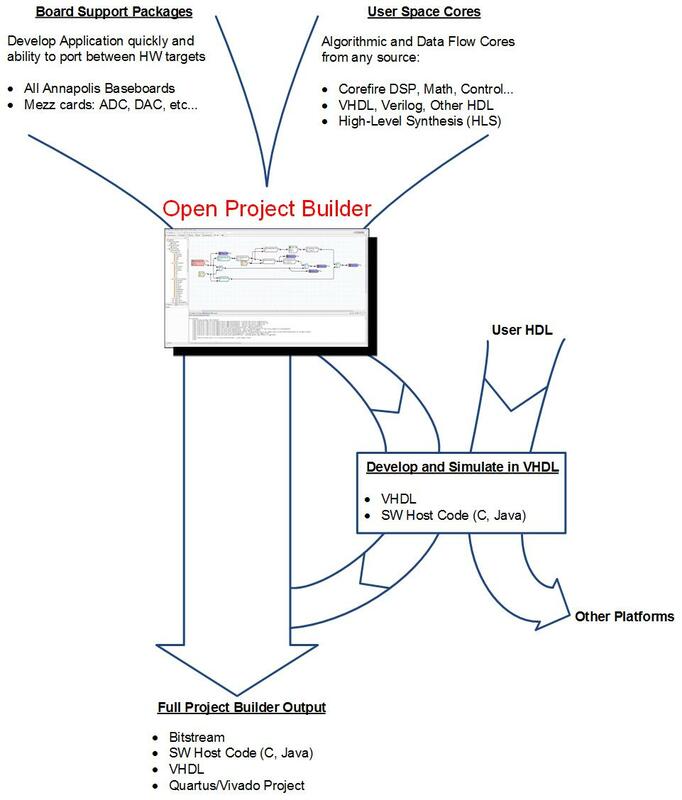 Open Project Builder can also port IP to/from other hardware platforms. 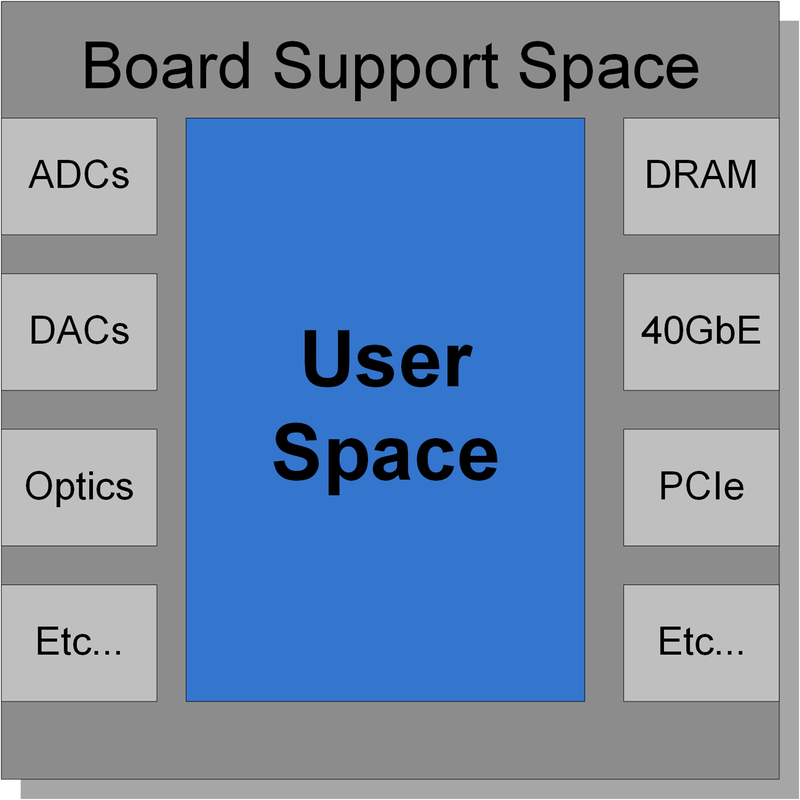 It uses standard Avalon and AXI IP interfaces. 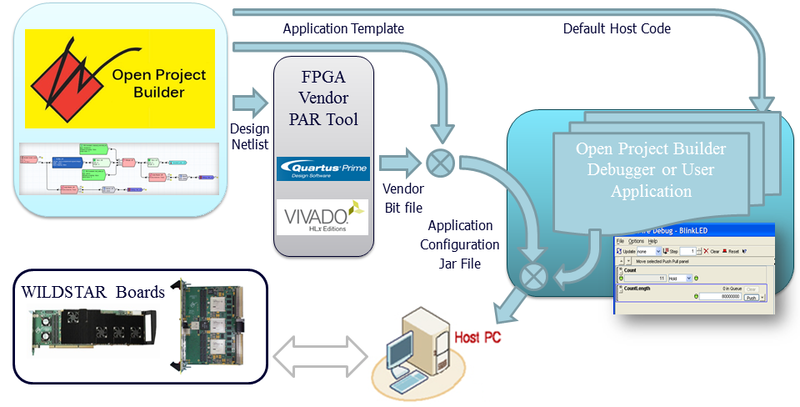 Open Project Builder provides fast portability of applications between Intel and Xilinx and to newer FPGA families. 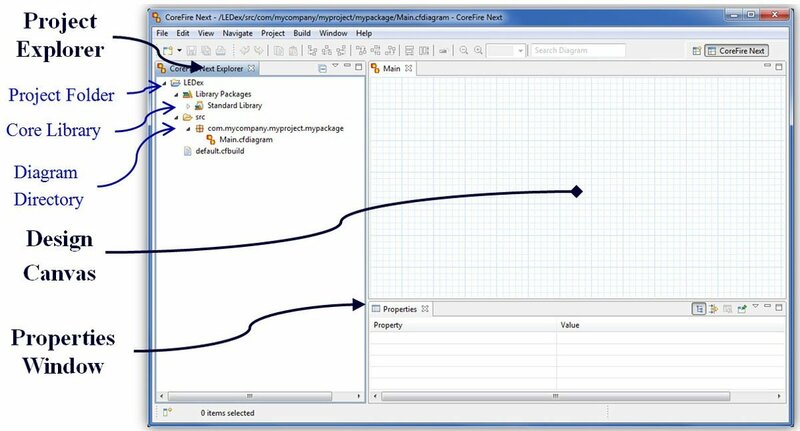 Supports Multiple Data Types – Bit, Signed and Unsigned Integers Single Precision Floating Point, Integer and Floating Point Complex Data Types and Array Types.